We need your help to raise another $45,000.00 to pay our manufacturers for the first minimum order! 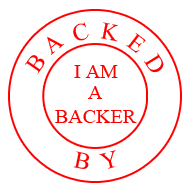 Today we are raising $45,000.00 through Kickstarter in order to place the first order with our manufacturer. Product testing around the world: 10 countries and over 50 devices. Upon the final samples we had to invest in the fabrication of the final mold for the mass manufacturing, which were $5,000.00. In order to create all the marketing collaterals, from our photo and video shoots to all of the graphic design work, we spent another $3,000.00 - which was not a lot considering the level of talent we have been collaborating with and the assets they helped us generate. After going through all this process, it left us with another $10,000.00 for dedicated to the mass-manufacturing. Now that we have gotten to THIS point, we need YOUR help to raise the remaining funds for the mass-manufacturing and take BOLT and our vision to the WORLD! No one had ever produced this kind of product before! Once we finalized our first design of the BOLT, we needed to source the best manufacturer in its class who could achieve both the technology to be able to function without a doubt with the Apple products while ensuring a the level of craftsmanship to create a product that has a legitimate place among other fashion accessories. Over the cursus of 3 months we contacted over 400 manufacturers in order to find the ONE. The manufacturer we selected is part of the "Official Apple manufacturer list" which we triple checked and even sent a Product Development Specialist overseas to confirm the accuracy of the information and check the quality of the plan and condition of work of their staff. Once reassured by the legitimacy and the work conditions of the selected manufacturer we decided to move forward with the prototyping process, confident that they could achieve the compatibility with Apple iPhones, iPads and iPods. The first sample functioned right away with every Apple devices using an "Lightning" port but the finishes of the claps were off as well as the length of the bracelet. The same thing happened for the packaging. It took us another 3 months of back and force with their engineering and sourcing teams, 3 other samples for the bracelets and 3 samples for the packaging to get everything as we intended. Upon receiving the last samples, we had the opportunity to test the bracelets in 10 countries around the globe from East Asia, Middle East, Europe and the USA, everyday for over 1 month and half period; making sure that the bracelets worked perfectly everywhere and across all devices; from plugging them to computers, cars, on wall outlets as well as on the planes' USB ports. Testing the products from the humidity of indonesia, to the heat of Qatar, and the different regions of Europe (Italy, France, Switzerland, Denmark) & the USA, allowed us to be certain that regardless of where you lived around the world your bracelets would work. At this point we were super excited that they worked across the board! Another challenge was to bring down the manufacturing costs and the "minimum order quantity" (MOQ) from the manufacturers so BOLT could become a product for everyone and not a luxury item because of its price. The first quotes we received would have made BOLT a $100+ product for the consumer. After dropping significantly the costs, now we had to negotiate the scale of manufacturing. Originally our manufacturer requested a minimum of 10,000 units per color but after numerous conversation with the owner of the manufacturing company, they loved BOLT so much that they put all their resources in helping us 1. fast track the engineering and prototyping process and 2. decreased their MOQ from 10,000 units to 2,000 units per color! We didn't want to prematurely release the fundraising campaign before tackling each and every point of the process. And we organized fulfillment platforms both in the USA and Europe insuring the delivery of the products for the cheapest rate while being reliable. We also created on our website a way to track your order and a mailing list to keep you posted on all the developments. For instance, if a video game or program was developed using Visual C it will need a msvcr100.dll file to be present on the device. Generally speaking in case you copy the msvcr100.dll computer file inside the System folder, the trouble is going to be solved. Well this is an incredible invention by the iphone. Now we can easily carry our mobile charger with us.